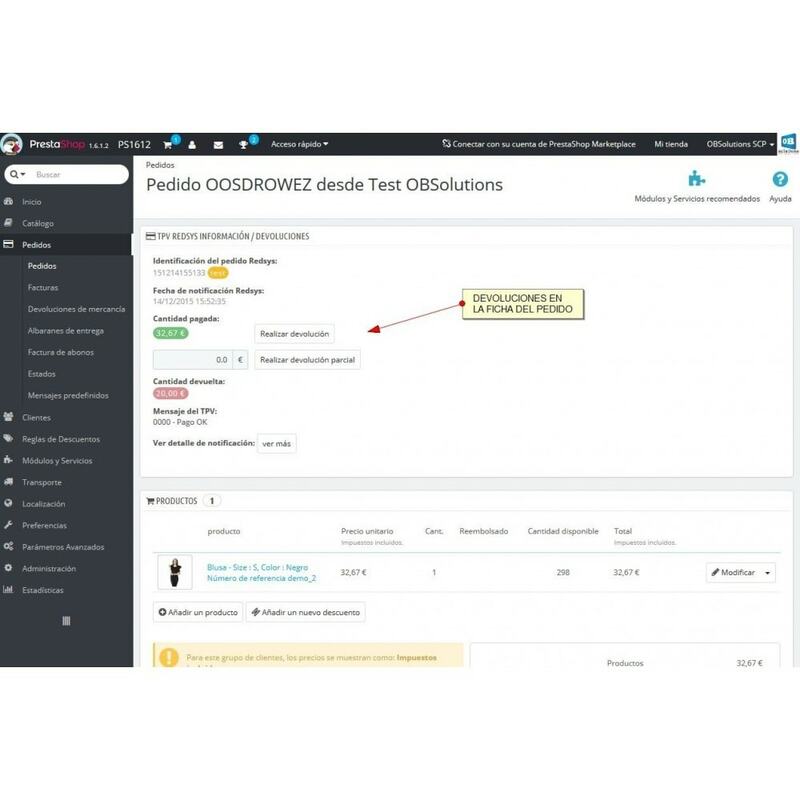 BANCO SABADELL module with full integration by certified develper. The most downloaded Banco Sabadell payment module, most complete and best valued in Addons! All options available to the customer. 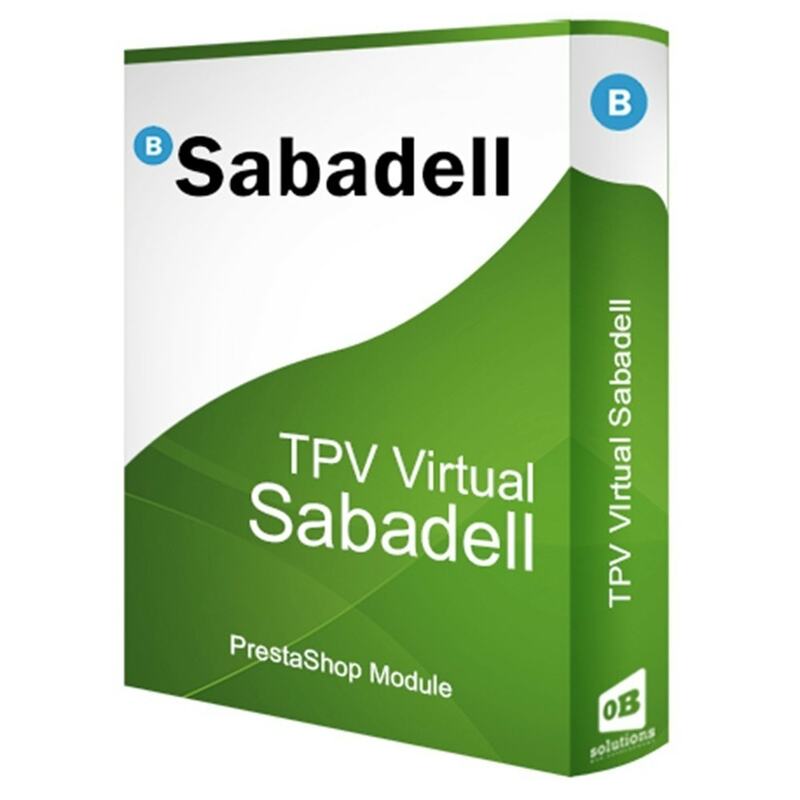 With this easy module, you’ll be able to install and setup your Banco Sabadell Virtual POS in your PrestaShop store in few minutes. It includes full administration of notifications and will let you make refunds directly from the order detail. Thanks to the help of the Notifications List included within the module configuration, you’ll not need to enter to the Redsys POS administration to see notifications anymore. You’ll be able to see all data from your order transactions directly from order detail page: Redsys transaction Id, transaction date, real amount paid, error messages, etc. Save a lot of time locating and identifying transaction orders when you need to make a refund. 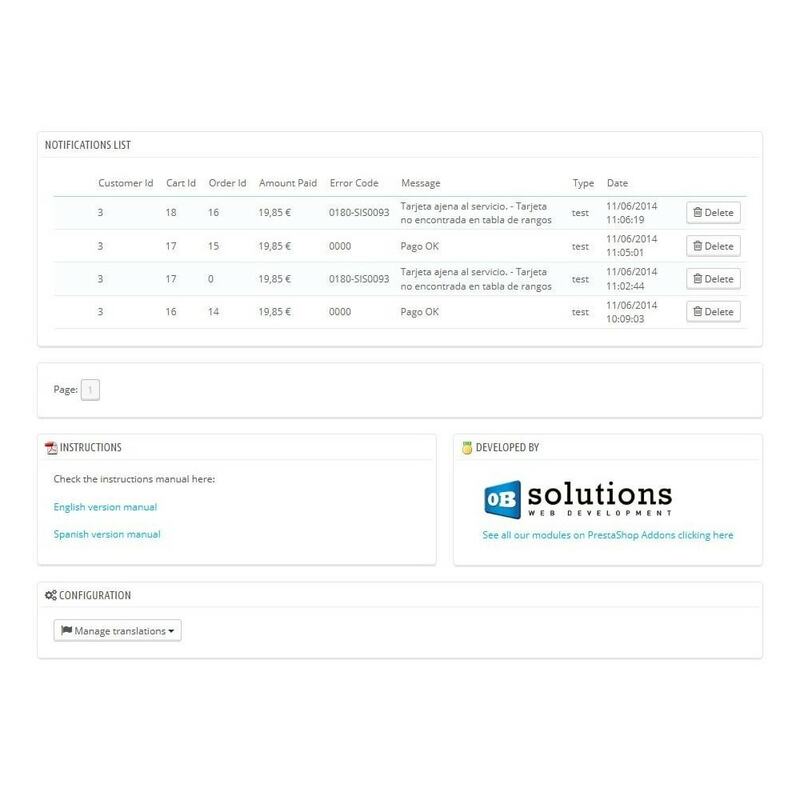 You’ll be able to refund the order amount directly from the order detail page without having to access to the Redsys POS administration panel. Installation help included: Contact us and one of our technicians will advise you with the installation and setup process. Constant updates: We continuously update the module to ensure proper operation of the module in future versions of Prestashop and Redsys. Ability to select between showing the module inside your shop itself or in a new page. Possibility to empty or not the customer's shopping cart when an error occurs in the payment process. Option to retry payment or select another payment method whether the customer has made an error during the payment process. Choose between Test and Real environment. Compatible with any bank that uses Redsys platform. Compatible with languages that are configured in your store. 100% secure integration system. Customers always enter their credit card data under a Redsys certificate ensuring their privacy. Support our technical team to any incident.